While Walmart is always doing what it can to stay relevant and adapting as time goes on this is quite an interesting new concept. It seems the supermarket giant might be using shopping carts to track our heart rates and so much more as time goes on. These ‘smart carts’ would come equipped with biometric sensors and be able to keep up with where you are in the store consistently. Basically, it will keep track of how you react to different things within the store. For instance, if you see that something is on sale the shopping cart would be able to record the manner in which you react. If your heart rate increases, it will send a signal to somewhere else and keep track of how you are interacting with the store itself. This patent was filed for back in August and has been making headlines ever since. Many are quite confused as to why Walmart would find it important to monitor our body temperatures and other things of the sort while others are quite excited. When we are not using the cart it is in sleep mode and when we begin moving it, it powers up and gets going right away. This would even potentially be able to alert workers when someone seemed to be in distress or having a bad shopping experience. The retail giant says the data would be used to help identify shoppers in distress and to improve their overall shopping experience. If a person’s temperature were to rise or fall beyond established parameters — say, by one full degree, for example — the system would alert a customer service associate who could then locate the shopper to find out whether medical assistance would be needed. If biometric indicators show signs of emergency, the program may also issue a broadcast throughout the store to call associates’ attention to the situation, and could potentially initiate a call for emergency medical help as well. In addition to tracking heart rate, temperature, and speed, the system could also use these metrics to gauge a shopper’s stress levels. For those concerned about Walmart collecting and using their personal data, the company states that biometric handles won’t save personal data. They would begin collecting information when a shopper starts using a cart and go to “sleep” once the sensors indicate that they’re no longer use. Without extracting any personally identifiable data, information collected could be used to assess trends across multiple customers in real-time: Clusters of alerts, such as several shoppers appearing to need assistance at one time, could be used to anticipate problems like arguments among customers or broken items in an aisle. With the world of AI and robots in general constantly growing this seems to be a step in that direction. 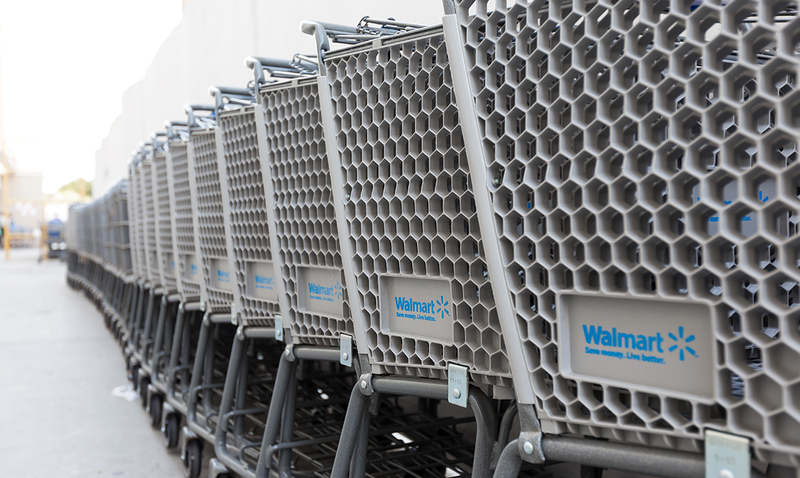 According to Business Insider, there are already Walmart stores across the US that use robots to scan for things that are out of stock, check labels, and so much more. I guess with this kind of thing no one knows how far things will go. What do you think about all of this?